Renewable energy is a modern technological evolution. However the possibility of harnessing the power of the sun has influenced engineers, scientists, theorists and artists throughout history. Lighthouse believes that science and technology will not only shape the future of energy production and our environment: the arts have a role to play in shaping our responses and imagination. 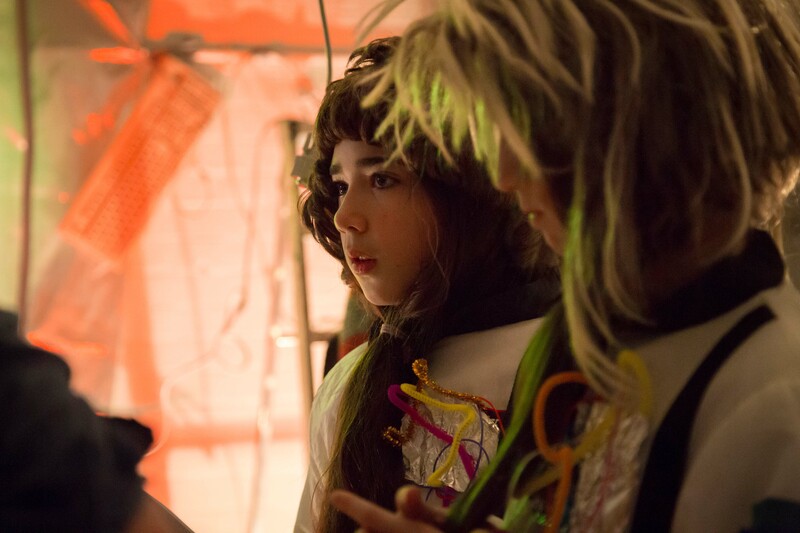 ‘Power Up’ is an exhibition of workshops and films aimed at children aged 7-12 years old, which examines how our use of energy impacts our planet. We are inviting proposals to deliver a workshop that responds to these themes and shows how art can help bring change and awareness. This will be part of the Brighton Science Festival, which has been running annually for over ten years. The family festival brings people together to challenge perceptions about what science is and who can do it. This is also part of the Re-Imagine Europe project so in order to be eligible we are inviting proposals from artists who are non-British EU national or citizen (who may be resident in the UK or elsewhere in the EU). Re-Imagine Europe aims to empower a young, digitally connected generation, to develop and explore new art and new ideas in response to the current social and political climate, examining issues such as rising nationalism, climate change and migration. The successful proposal will run alongside our other programmed events for Power Up. Block Builders will be running a session each day where attendees will re-build Brighton’s city centre using Minecraft to make it more environmentally friendly and testing out wind turbines and solar panelling. We will also be screening short films throughout the day. We will be showing The Solar Film, Small World Energy, This is Shell, Wanderers, Gaia Soil and George the poet on climate change. • Duration of workshop: 1-1.5 hours to repeat over three days, the workshop must fall between 11:00-1:00pm on each day. • Your Fee: The successful proposal receives a fee of £600 GBP with additional costs for travel, accommodation and materials. You will have access to the following space to hold your event: The Conference Room. • You must be an non-British EU national or citizen (who may be resident in the UK or elsewhere in the EU). 1. Confirmation that you can run the workshop on the following dates. 20th, 21st, and 22nd of February 2019. 7. Your CV and short biography demonstrating previous relevant experience and practice in your field. For any enquiries on completing your application please contact Kizzie Furini – Assistant Producer at Lighthouse. Please submit your application by Monday 5th November 2018 – 12pm.